T.R. Heinan was born and raised in Duluth, Minnesota. He developed his love for history during his five years at Marquette University. After a brief stint as a journalist, he began a career in investment banking specializing in the airline and motion picture industries. 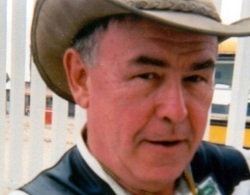 His retirement years have been devoted to writing and serving orphaned and homeless children at a Mexican orphanage that he helped to establish. L'IMMORTALTIE is his first book-length work of historical fiction. A comedic meditation on what humans do to persist beyond their mortal lives, L'Immortalité is an inventive horror story that vividly brings to life the torrid landscape of old New Orleans. By turns macabre and comedic, this irreverent horror story is drenched in the excess of antebellum Louisiana. It is based on the real life events of an elite society woman and her barbaric treatment of her slaves. This novelization begins in the city's St. Louis Cathedral where reclusive lay sacristan Philippe Bertrand finds himself drawn to the shadowy mansion of Delphine Lalaurie. In the Lalaurie Mansion, he meets Elise, a slave girl with poetic ambitions who has been brutalized by the Lalauries. 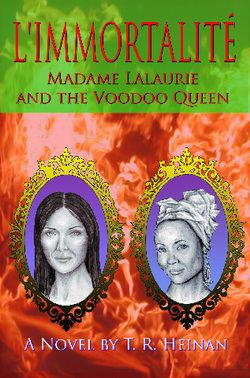 When the mansion matriarch demands Voodoo Queen Marie Laveau to give her eternal fame, everything goes haywire. A child slave dies under questionable circumstances, spurring Elise to run away. Philippe hides Elise at Marie Laveau's cabin and secretly teaches her to read and write. When Marie puts a new spin on the meaning of zombies, the once reluctant sacristan is determined to find out what really goes on at the Lalaurie Mansion. To his horror, he will discover that Delphine and her physician husband carry out repugnant medical experiments on their slaves. This monstrous private world may be exposed when a slave cook sets herself on fire, along with the mansion. Philippe must break the chains of his own conflicted spirituality as well as those binding the Lalauries' victims if he is to save them.